CAMACrafts was founded out of a desire to provide Hmong refugees a way to help support their families without being in danger of exploitation following the Vietnam War. In 1994, CAMACrafts became the first business in Laos to be certified by the World Fair Trade Organization (WFTO, then the International Fair Trade Association). 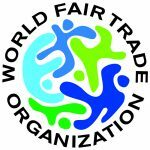 According to the WFTO, “Fair Trade is a trading partnership, based on dialogue, transparency and respect, that seeks greater equity in international trade. It contributes to sustainable development by offering better trading conditions to, and securing the rights of, marginalized producers and workers – especially in the South. In short, CAMACrafts believes that operating a business based on fair trade standards is a way to economically love our staff and producers. We appreciate your continued support of fair trade in Laos by purchasing fair trade products. Learn more about fair trade principles.